Rare single level home located in the coveted Sinsheimer neighborhood with permitted 1 bedroom apartment. 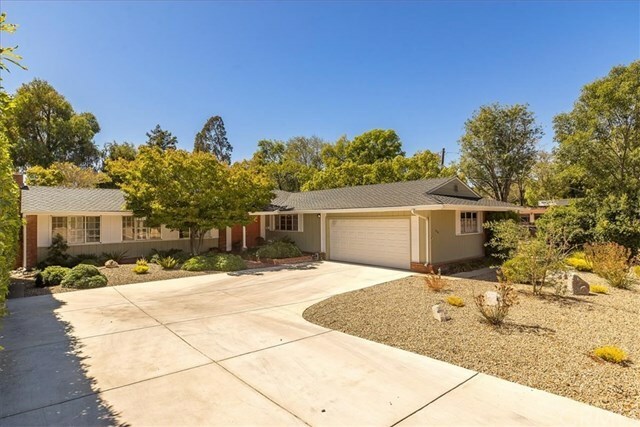 This home has been lovingly maintained by the same owners for 45 years! Create your own memories in the spacious great room complete with wood burning fireplace and views of the private backyard oasis. The main home boasts over 2000+ SF with 3 large bedrooms + den/formal dining room. Enjoy wood flooring in the entry, hallways, eat in kitchen, and hall bathroom. Spacious walk-in pantry or possible laundry room between the kitchen and 2 car garage. The one bedroom apartment is approximately 600+/- SF with it's own separate entrance, wood beam ceilings, fireplace in the living room, and updated bathroom & kitchen. The apartment does share a wall with the home and could easily be converted into another large master suite if desired. Relax in your own future back yard filled with mature landscaping within one of the most desirable micro climates in SLO. Just a short distance to Sinsheimer Park/School, SLO Swim Center, YMCA, and SLO Railroad trail! Directions: South on Johnson from Downtown, Right on Sydney St, Left on Augusta St.